I also love the 20s, it is so fun! I adore the women's short hair and the fringes!!! HI Erika! I love Twenties Girl, you were the one who told me about it right? I'm not joining this give-away anymore. Just want to drop by and say Hi! And hope you had a fun day yesterday. Big hugs! Ahhhh! I would love to enter this giveaway. I've also tweeted about it (@missjordanista). Ooh! These books sound fantastic! 2009 has seemed so unlucky to so many =( rip Ms. Murphy. Hope you enjoyed your bday! I've had the pleasure of doing dance gigs where I've had to dress and dance as a 20's flapper - SO fun!! Oh, I want to win so badly! I love her books and this one is on my list to read!! Yay for the giveaway! this is such a cute book! and Im already a follower of yours! I love the twenties! This book looks great. OHHHH!!! such a good giveaway! i'm not entering since i already read it just recently. i didn't think i would like it as much as all of sophie's other books but i ended up LOVING IT! so to everyone, i can vouch...THIS IS A GOOD BOOK! good luck! Erika you are so thoughtful :) I love having some new books to read! I've been a follower for a while because I love your blogs (even though I've been horrible on catching up, sorry)! Wow! A fashionable and educational giveaway! That book looks very great considering I love anything about the twenties! Yes yes yes! I find 20's fashion incredibly intriguing. And Sophie Kinsella is by far my favorite modern author. I love love her books and their ability to cheer me up. I am in! I almost bought this on Amazon last night!! Reading is helping my insomnia yayyy!!! I'm a follower already! Nice giveaway! I have had my eye on this book for a while! PLEASE please please let me win!! Also, I am a follower! Great giveaway! I've been planning to read this once I'm finished the Shopaholic series. I heard it's good too! I am following your blog and I tweeted about this giveaway (http://twitter.com/melissawaldron). This sounds like a great book. Thanks for the opportunity. Lovely giveaway!! I would lvoe to get to read this baby! I am a college student/blogger as well and follow your blog on Google Reader. I ADORE Sophie Kinsella and could use a new book to read over winter break. LOVE '20s fashion and NYC's Harlem Renaissance. It looks fantastic! oh, i wanna win!!!! i'm already your follower! I love the 20s. I love Sophie Kinsella. I love you and your blog! Fab giveaway, and it looks like a really great book to get lost in during the horrible January months. Exciting! oh fun!! i'm in need of some good new books! Fab giveaway, i've been meaning to read this book after reading all of Sophie Kinsella's other books and absolutely adoring them. That was a great era...so I'm sure that is an amazing book! Great giveaway! I love the 1920's! Being a flapper was one of my most fun halloween costumes. I'm also a follower, via blogger. Also, this book is most likely a great vacation read. I'm already a follower, so please count me in! ooo sounds like a great read! thanks for the giveaway! oops ! sorry i got google followers mixed up with linking. i took mine off so i've just linked you instead : ) thanks ! I love her books, and these two look interesting and super fabulous :)Hint hint. i can't believe i hadn't heard of this...love her books and this time period! I'm already a follower by the way :).. happy holidays! Yey, Erika! Another thing we have in common ... I think flapper dresses are the bomb! I hope I win! It's my favorite period! Ooooooh I want to win this!! Happy holidays, gorgeous! I loved the Shopaholic series. Can't wait to read this newest book from Sophie Kinsella! oooo pick me! I love this series. sounds cute - and the cover art is adorable! wow! How i would love to have a copy of this. 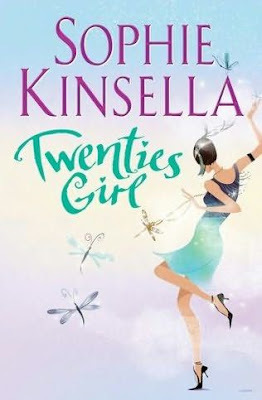 I have not met twenties girl before, thus, it's a great chance to devour the book. Why hello Darling! I love the 20s as well, probably not as much as you but I do enjoy them! However, I am just not down with the taping down of the chests... I'm all about bras- but other than that, flappers have a great look. 1. Commenting you about the giveaway! I'm a big fan of the 20s, too. Such a fun decade! Okay, E, yet another thing we're totally on the same page about. I've always been in love with the twenties. The Great Gatsby is the thing my husband & I agree about (the best novel, ever). The last paragraph is one of the most beautiful string of words I've ever read. We lived for a period before London, on Long Island, in the area where I grew up, which is major Great Gatsby territory (our little barn was renovated in the 20s, and was part of one of the estates in the area: the big house was actually owned by another novelist, Leon Uris). And I keep a copy of Tender is the Night by my bed, for when I'm between novels, & just open it to any page. I didn't even know Sophie Kinsella wrote this book. But I'm not entering the competition (apart from winning the 'longest comment' award). Will look for it here in London. On one last thing about the flapper period: besides that it's my favourite style, it also influenced the sixties style, which is always being referenced. I don't think there was any period that so radically changed the style from what came before, as that decade. Thanks for such a great giveaway! I was a flapper for Halloween. Love the 20s. Smoochies Darln'! I love the twenties & I think that it was such an innocent era, with a certain spice for life. Just to be formal: I am commenting on this giveaway, I tweeted about the giveaway @shopwestlandctr, and of course I follow you! I adore Sophie Kinsellas book, what a fab giveaway! crossing my fingers and my toes and anything else i can cross!!! I didn't realize this was out! What a fun and fabulous giveaway! I've been longing to read this Sophie Kinsella novel since I've been absolutely intrigued by the Shopaholic series! And thanks for all your lovely comments on mode.ulation =). Count me in, Seems like a cool giveaway and I love shopaholics! Lovely giveaway. Sounds like a darling book. I love Sophie Kinsella! She cracks me UP! Erika ! I thought this giveaway ended last Wednesday . My mistake . Haha . I'd love to win ! Really love this book , I always go to the bookstore to see if it's come out with a smaller edition or not . Because the big one is so expensive haha . 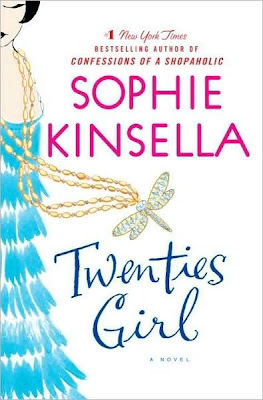 Oh wow, I didn't even know Sophie Kinsella came out with this book!!! Incredible. I loved the Confessions of a Shopaholic series. She is such an awesome writer!! Third entry...I'm a follower now! I really thought I already was because I read your blog often, but now I guess it is just official! Love the 1920s too! And i love your blog! I would like to be entered! I love Sophie Kinsella and your blog!! Thanks.